The unit expansion for Star Wars: Legion fills the gap in your Imperial army between lightly armed troops and the All-Terrain Scout Transporter. 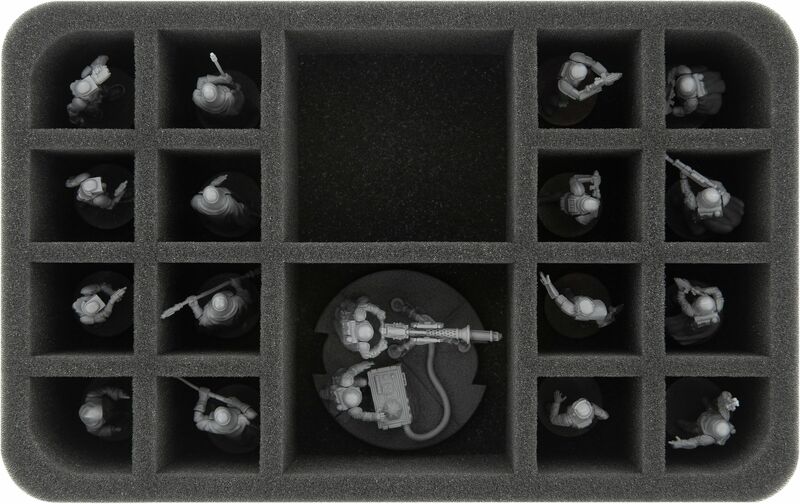 To help your E-Web Heavy Blaster team get to their next mission unscathed, here's the right Half-Size foam tray to protect your miniature. Two large compartments are perfectly tailored for 2 E-Web Heavy Blaster Teams. Thus the troopers and the cannon remain undamaged even during transport. 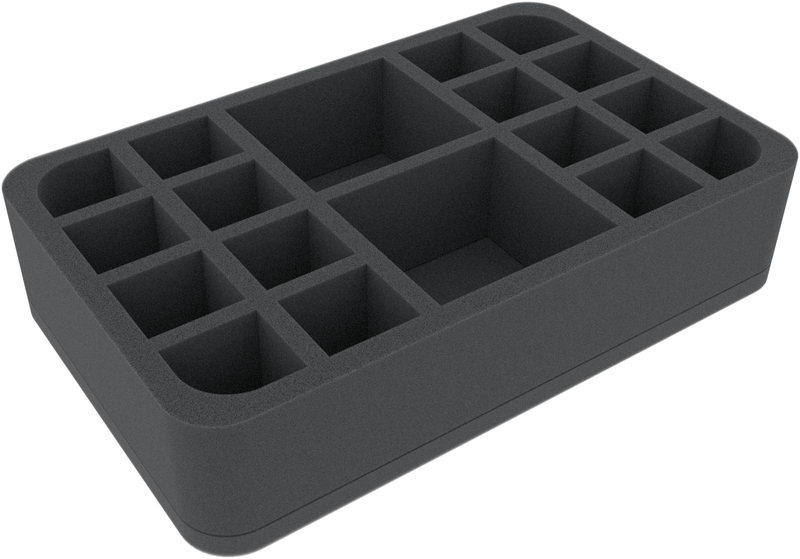 Accomodated in compartments made of soft foam, the figures do not slip around and painted miniatures are safe from scratches, abrasion and flaking paint. 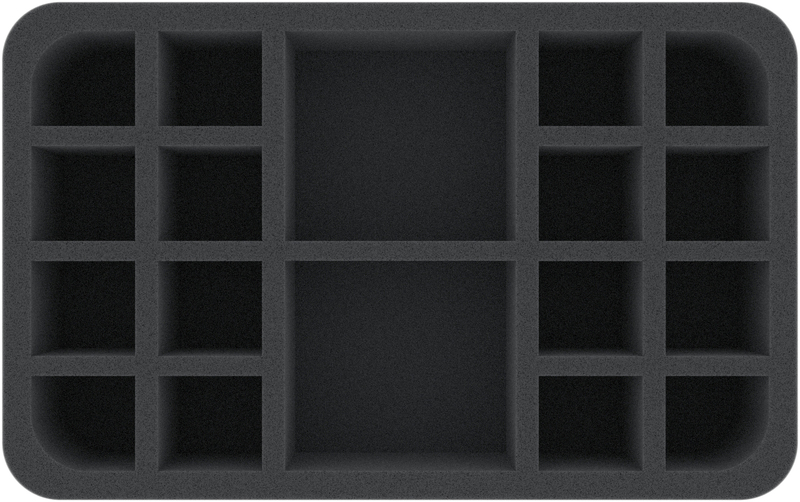 Additionally, the insert offers with its smaller compartments space for up to 16 lightly armed troopers.